We jumped at the invitation extended to us by my wife’s former colleague and a reader of ParentWonder.com. They were the organizers of a day trip that took place last Friday. 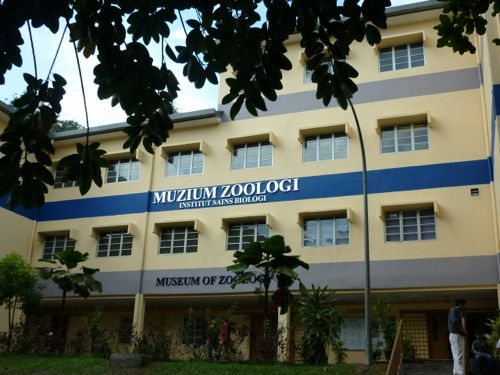 The day trip comprised Malaysia’s top university’s Rimba Ilmu Botanic Garden and The Museum of Zoology. Both places are located on the campus of University of Malaya (UM). Based on my rough estimate, the trip was joined by about 30 participants – children and adults alike. The morning session started off with Rimba Ilmu. After lunch, the trip continued with a visit to UM’s Museum of Zoology. All in all, both tours are highly educational, even for me. And it’s definitely recommended for parents with kids as well as school teachers looking for a trip. 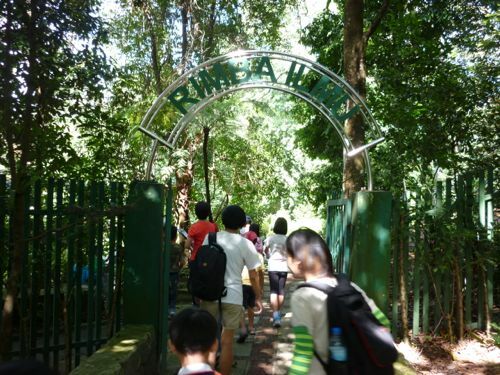 Rimba Ilmu (it means Forest of Knowledge in Malay) is a tropical garden founded in 1997. 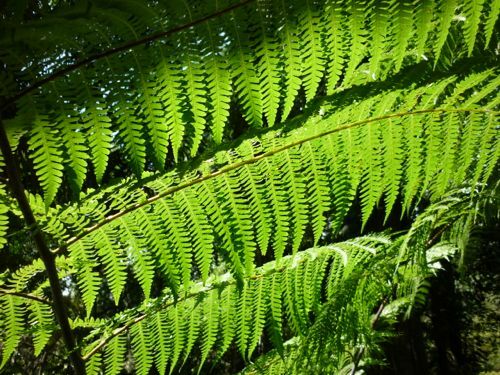 It’s home to many types of plants, birds, insects, and so on. 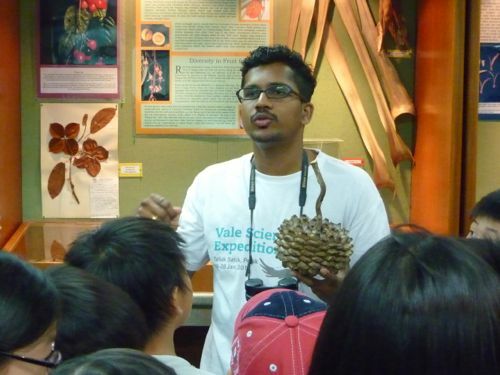 Our guided tour was conducted by Prasad, a member of Malaysian Nature Society (MNS). 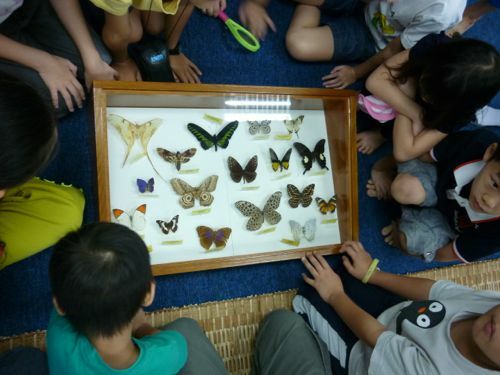 The tour started off by visiting the exhibition hall of Rimba Ilmu which houses samples and specimens of various types of plants, insects, butterflies, and many other things that you might not have seen before. Web of Life: What can you see from this piece of art? Prasad did a good job of engaging the children as well as explaining to them about the items on display. Then, we continued the tour to the actual forest itself. The moment we stepped in, we were attacked by an army of mosquitoes. So it’s highly advisable to bring along your insect repellant. As we went deeper into the forest, the situation got better as I noticed there were no more mosquitos. 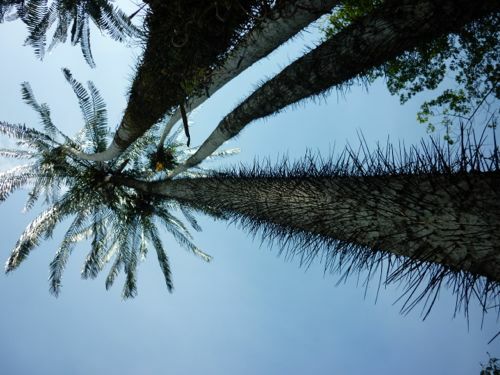 As this tour focused on plants (I was told there’s another tour only focuses on insects), by following the guide, we were shown many trees, fungi, herbs, fruits, etc. 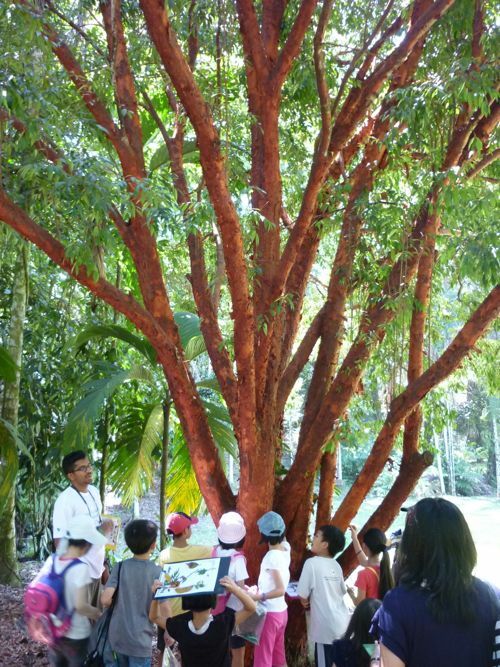 Despite the hot weather, the kids managed to follow along and picked up some new knowledge about plants and trees. 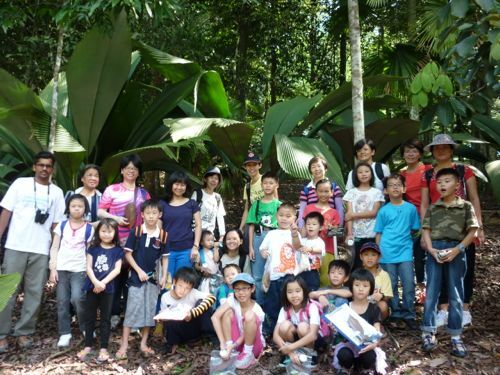 The guide encouraged the children to collect dried and fallen plant specimens and put them in a sealed plastic bag provided by him. They also had the chance to draw anything that they found interesting along the way. 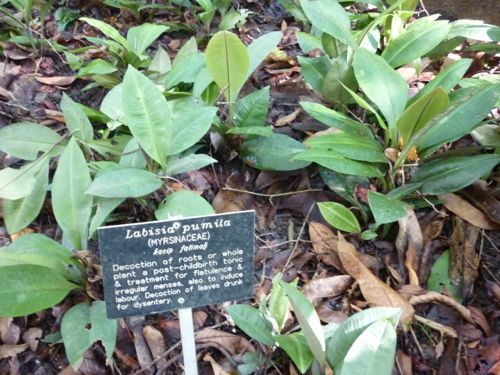 This tour is definitely better than classroom style learning as they get the chance to get up close and see first hand what a plant looks like. 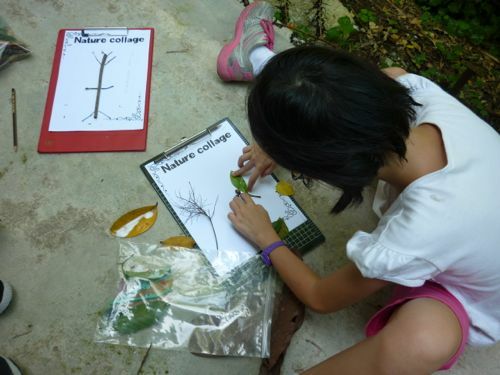 The highlight of the tour was to come up with a nature collage where children could show their creativity by making something out of materials they had collected: fallen leaves, twigs, fruits, etc. After making the collage, we walked backed to the office by taking another trail. The tour took about 3 hours to finish. 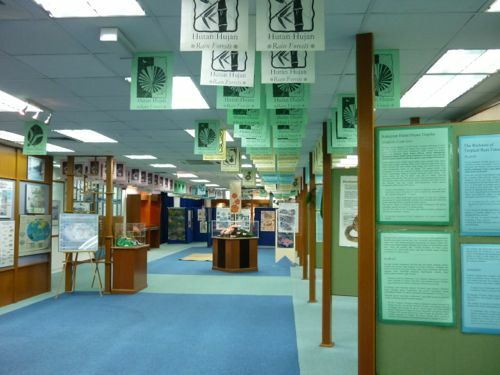 To arrange for a guided tour, you can contact Rimba Ilmu. Entrance fees: RM15 for adults, RM30 for children 4 years old onwards. After having lunch, we continued with our day trip with the next destination: The Museum of Zoology (Muzium Zoologi) at 3 pm. Even though we had a map to the museum, it was quite a challenge for us to find it. First, it’s hidden from the main roads. And secondly, to make things worse, visitors’ cars are not accessible except for staff. You have to get the right person to ask for directions as not everyone is aware of where the museum is located. We were hosted by a fellow researcher named Terry. He was tasked with the job of guiding us through the tour. The museum is located on the first floor and the area allocated is not big. If I were to visit the museum without a guide, I could finish it in 15 minutes. But I would also miss out many interesting facts that I might overlook due to my ignorance on the exhibits there. Anyway, unlike any museum, you can’t walk into Museum of Zoology as you wish as you need to make appointment before hand. A guide will be arranged to explain to the group on the day of the visit. 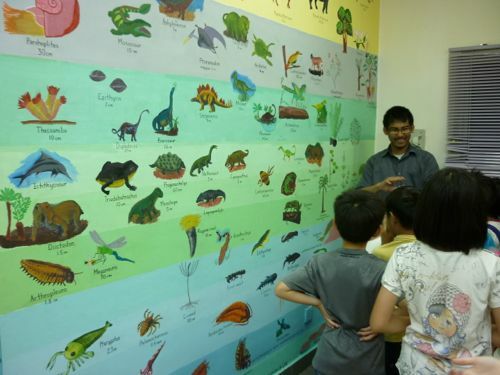 As you enter the museum, you will not miss a huge mural that explains the pre-historic animals that stretched back to millions of years ago. 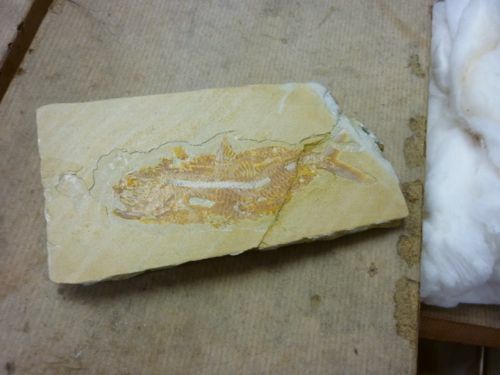 Only from this visit that it was my first time to touch and feel fossils. There are a few there and you can take picture with them – but you have to handle them with great care. 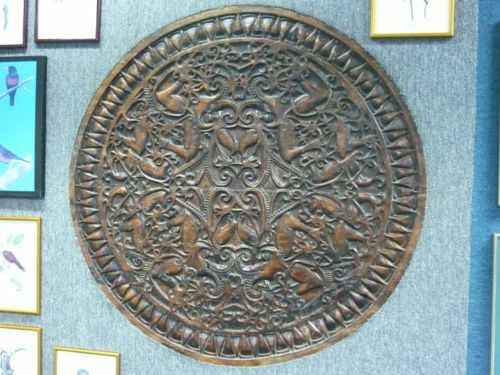 There are many exhibits on display. From a king cobra to pearl-making oyster. 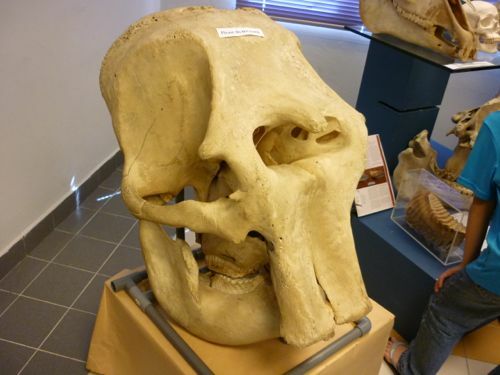 From tiger skull to beetles. From elephant tooth to bats. Again, what makes the visit even interesting is the explanation given by the guide. The guide has done an awesome good job making the tour fun and interesting in the Q and A format. We took two hours to complete the visit. Without a doubt, we learned a lot from this tour. By the way, did I mention that the entrance is free? Please contact the museum to arrange for the visit. They don’t accept walk-in visitors, as what I was told, they are under-staffed.